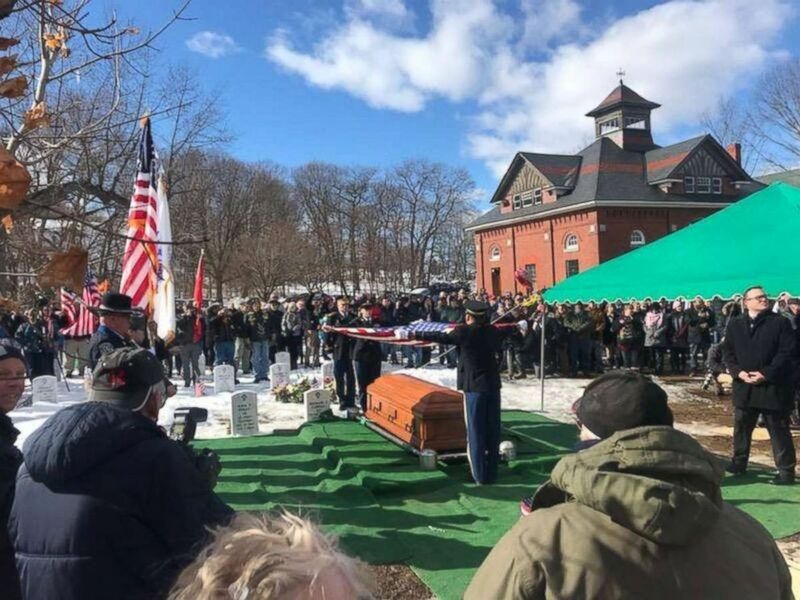 Scores of strangers came out for the funeral of James McCue, a 97-year-old World War II veteran with no surviving family members, in Lawrence, Massachusetts on Thursday. "James has no surviving family to witness the Military Funeral Honors," Massachusetts Secretary of Veterans’ Service Francisco Urena said in a tweet on Monday. "Community members are asked to attend his services." The community seemed to have heard Urena's call. Hundreds, including several veterans' organizations, attended McCue's funeral, with many people bringing flowers and balloons, ABC affiliate WCVB reported. Photos from the Lawrence Police Department show a large crowd paying tribute to McCue, who was buried with full military honors Thursday afternoon. 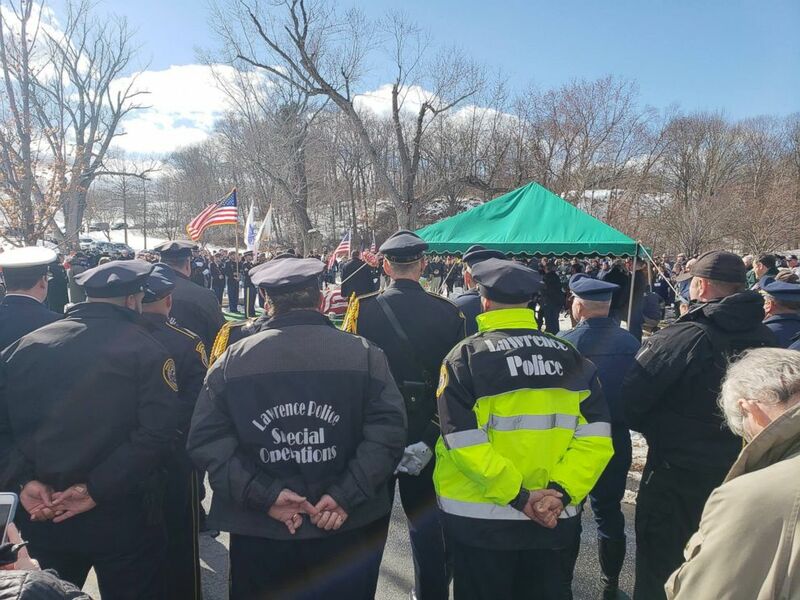 The Lawrence Police Department take part in the funeral services for World War II Veteran James McCue buried in the Veterans Section of Bellevue Cemetery in Lawrence, Mass., Feb. 14, 2019. The city of Lawrence's Twitter account, which had also put out a call for veterans to attend McCue's honors, thanked the "hundreds" who showed up on Thursday. "We love you!" the account posted, adding the hashtag #Familyforlife. McCue, a native of Lawrence who also worked in the housekeeping department of Holy Family Hospital in Methuen before retiring, died on Feb. 7 at age 97 in Methuen, according to his obituary. His wife, Margaret, died before he did, the obituary says. "The highly decorated Veteran served in 5 major WWII Battles; D-Day Invasion, Northern France, Rhineland, Ardennes and Central Europe," Urena said in a tweet. "We're grateful for his service." In addition to the large crowd who attended his funeral, a number of people -- many of whom said they had never met him -- wrote on the tribute wall for McCue's obituary to thank him for his service.